We believe we have found the answer to the question which producer is behind the Vintage Port 1960 bottled by Fredriksberg Vinimport 1963 in Copenhagen and which has a special certificate number on the label. Usually the Port Wine Houses are not producing Single Quinta Vintage Port the same year as the House is producing a Vintage Port under the name of the House. This was extremely unusual during the 1960s and the 1970s. However, 1966, 1970, 1972, 1975, 1977 and 1980 Dow had a special agreement of delivery to Fredrikbergs Vinimport in Copenhagen, Denmark of Quinta do Bomfim and thus in Denmark both Quinta do Bomfim and Dow existed the same year. We believe that the vintage 1960 bottled by Fredrikbergs Vinimport in 1963 with a special certificate also is Quinta do Bomfim as some wine merchants in Copenhagen have written to us. We believe this was the first time it was delivered to Fredriksberg, and thus there was a certificate and not anything else on the label. We are very happy that we have had the opportunity to taste both Dow and Quinta do Bomfim in these years. Is there any other country this has been possible? 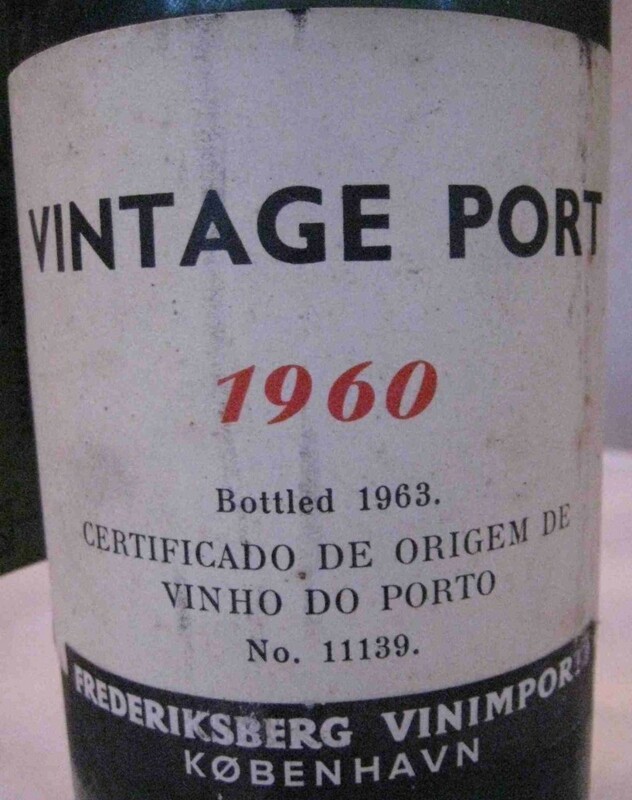 This entry was posted in Tasted Vintage Port and tagged 1960, Vintage Port on June 16, 2013 by Stefan.